Why Is This Man Banned For Life From Pakistani TV? 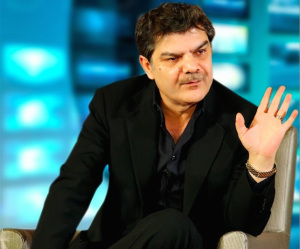 Mr. Lucman has covered many topics since entering televised journalism in 2006. He has become well known for investigating government corruption despite reprisals including three untimely visits to his home by the police, threats against his 14 year-old son and 12 year-old daughter, as well as having a gun fired in his general direction. Mr. Lucman, age 52, is a graduate of Aitchison College Lahore and Government College, both esteemed institutions in Pakistan. He has had many careers before entering the field of journalism. He has served in a government ministry position, been part of the first fiberoptic network installation in Pakistan and worked in advertising. Along his largely business career, he occasionally wrote columns for newspapers in both Pakistan and the United Kingdom. In 2006, his boss suggested he move to a different part of the conglomerated business to try life as a journalist on television because, “he thought I would be good at it.” Since then, Mr. Lucman estimates he has done more than 2,500 shows, the majority of which involved investigative reporting. He has changed stations many times and up until his recent ban was at ARY News where his investigative show was called Khara Sach. Since our inception ARY has always stood for the freedom of press, speech and to always bring out the facts and the truth. Mubasher stands for these same principles. 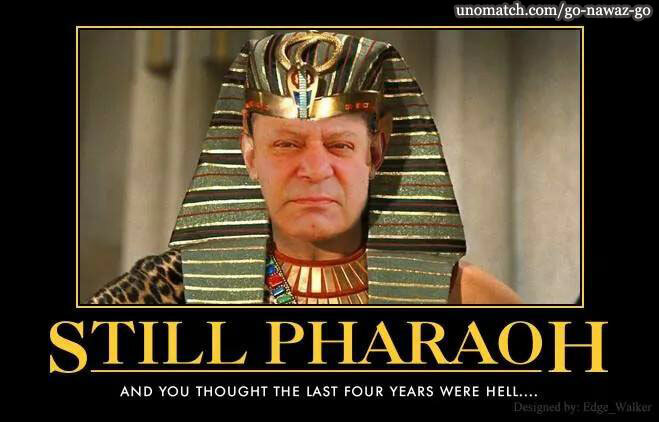 We may have been quieted temporarily but the truth can never be buried for good.We know we will face a backlash for these ideals, but ARY, Mubasher and its supporters will continue to bring to the public the truth and face this political turmoil. The Pakistan Electronic Media Regulatory Authority (PEMRA) is ostensibly in charge of regulating all media in Pakistan. Mr. Lucman relates that the suo motu judgment was taken without his own presence in court and that PEMRA has subsequently been informed by the judiciary that they must enforce this ruling. Attempts to contact PEMRA for this story were not responded to prior to publication. The principal judge involved in this case is Justice Syed Mazahar Ali Akbar Naqvi of the Lahore High Court. Justice Naqvi has additionally put Mr. Lucman on Pakistan’s Exit Control List (ECL) which essentially bans Mr. Lucman from traveling outside the country. 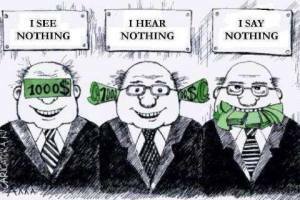 The ECL is typically reserved for persons committing corruption, misusing power, trafficking drugs, in significant violation of tax law, known terrorists or people who are dangerous criminals. Basically, we see Lucman’s case as part of a broader anti-media attitude on the part of the judiciary. They have often taken on the media for criticizing courts and judges as if they were somehow above reproof. 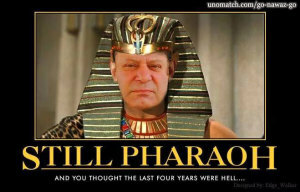 It’s a problem that has saddled most of Pakistan’s governments over the years. Though they have often been on the same side in political issues, the press and the judiciary are not natural allies. The overkill of the lifetime broadcast ban meted out to Lucman is typical of the courts’ sense of being beyond the give and take in modern society, that they still have an imperial sense of their role in a democratic government. It is not exceptional for the PEMRA to take repressive measures such as ordering a ban on a media, especially in such a period of political tensions. However, a lifetime ban, which is the equivalent of a permanent shutdown of a media, on an individual, I haven’t ever heard of such case in Pakistan… [T]his ban seems to be a ban on appearing in television in any capacity, which is absolutely disproportionate and illegal in regard to the laws of Pakistan. RSF strongly condemns this decision, as well as the raid on the home of the journalist by the police, in an attempt to arrest him. All these judiciary and police actions constitute blatant and shocking violations of press freedom and are counter-productive in the sense that they will not help cool down the political debate… We ask for an immediate annulation of this decision. I spoke with Mr. Lucman to find out what he did to earn a complete censorship from television, a suspension of income from his livelihood and a ban from leaving the country so that he might earn a livelihood elsewhere. Jon Springer: What is the basis for the case against you? Mubasher Lucman: I never criticized the judiciary in this case. I was investigating a businessman [Asim Malik] who ran off from Pakistan with 11 billion rupees [approximately U.S. $183 million at the time] fourteen years ago. We tracked him down and went abroad to interview him. He agreed to provide his point of view if I would meet his request that I do not edit his interview to ensure his side of the story would get out. He relayed information that part of conducting his business was more than half a dozen ministers taking bribes from him. He accused members of the judiciary of taking bribes as well. We showed a video that this businessman provided that he says shows the son-in-law of one said judge accepting a bribe of 40,000 British pounds as a ‘scholarship’ from him in exchange for a ruling in his favor. Springer: Is it against the law in Pakistan to interview people who say such things? or to interview criminals wanted by the government? Lucman: It isn’t against the law to interview anyone, even someone evading the law. People interviewed Bin Laden and Al-Zawahiri. Springer: Do you think it is political? Lucman: I did vote for the [opposition] PTI and Imran Khan in the last election. I was open and said so prior to the election. There is tons of evidence of wrong doing in that election. Yes, I think the mandate of the people was stolen in the last election. However, as far as I know, my case emanates solely from the judiciary that took it up suo motu. The problem with Pakistan when you go beyond a certain level is that everyone is connected. You never know who is backing who. It is difficult to say a particular party is behind the scenes of this or that. Springer: There have been other reports that have been negative on you. For example, there was a recent article that accused you of saying some journalists were receiving money from government officials. Lucman: I know some of those journalists and I can vouch for them that this report was not true. I never made this accusation. I have defended those journalists against these wrongful accusations. People love me or hate me. I am opinionated and people are opinionated about me. People have made up fake accounts with my name on Twitter and Facebook. Refuting things falsely attributed to me is part of my job. Springer: What is PEMRA’s role in this case? Lucman: PEMRA is being ordered by the judge to ban me. This ban is beyond their regulatory mandate. Springer: Have you appealed the ruling? Lucman: I have appealed to the Supreme Court of Pakistan. I do not know if I can make my appeal. I think I am the only journalist to have this type of persecution except one in Swaziland [who, along with his lawyer, have been sentenced to two years in jail this year]. Springer: What is the exact charge against you? Lucman: I have been charged with contempt of court. They could charge me for defamation perhaps, but how is this contempt? Springer: How does this ban reflect on Pakistan’s democracy? Lucman: Many times I have filed police reports of incidents however they have not materialised in formal FIR reports by police and I can only attribute that to the interference of the government. For instance when the police illegally raided my home a few weeks back and harassed my children taking their snaps, they had come in full uniform and police vehicles. When I reported the matter, the Deputy Inspector General of operations said ‘These are not our people….’ I urged him to lodge a formal complaint if that was the case. My written complaint is at the police station and to-date no formal report has been lodged by the police. This is a usual practice here for those who are perceived to be not supportive of the government. I have been fired upon. My home has been invaded. My children have been threatened. No one makes these types of sacrifices unless they believe that things can be better than they are.